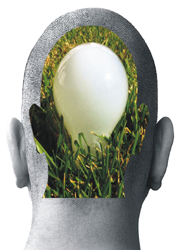 Intellectual Property refers to original creations which are represented in a physical or recorded form. It is recognized that these products of the mind or intellect have a value and the rights of the owner are protected by law. These rights can be protected in a number of ways and the same expression of an idea can be protected in more than one way. This is an overview of the various intellectual property (industrial property) rights. Follow the links to get more detailed information on each category. Let's use a fictitious beer making company as example to illustrate the various categories in law that offer protection. A utility patent will protect the unique machinery used in the bottling plant or the unique process that's being used. A design patent or registered design will protect the shape of the beer bottle (aesthetic design) or the design of the lid to reseal the bottle (functional design). A plant patent may be granted for the new variety of hop engineered by the company. 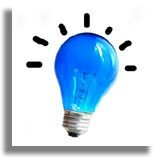 All patents have a limited lifespan subject to the payment of periodic renewal fees. The shape of the beer bottle can be registered as a trademark and a design patent, so even when the design patent expires, it will still be protected as a trademark. The name, logo and slogan of the product can be registered as well as a particular combination of colors used. The unique smell of the beer and the peculiar sound the lid makes when popped can be registered in some countries. The distinctive building design or an architectural element of their pubs or breweries can be registered. 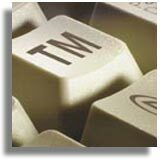 The trading name of the company as well as the domain name may qualify for trademark registration. If the company were to run a beer making academy they could register a service mark. Should they belong to a brewer's guild, they may display a collective trademark and the quality of their beer may qualify for a certification mark. In some countries they may claim a defensive trademark for their business name. Trademarks, once registered can be renewed indefinitely, subject to payment of renewal fees and continued use. Registration is optional, but there are distinct advantages in registering a trademark. The computer program and circuit layout that operates the bottling plant, the advertising jingle, the television advertisement and the content of the company's web pages are all "works" eligible for copyright. 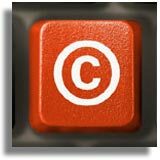 Copyright does have a "limited" lifespan albeit 50 years (or more). More details can be found on the copyright pages. A company may choose not to patent the formula for making the beer because of the limited lifespan of a patent. The company may prefer to keep it a trade secret with those in the know being prohibited from revealing such information with confidentiality and non-disclosure agreements. A supply source or business method may also be a trade secret. Generally, confidential information will be protected if it is truly confidential, would be useful to a competitor and is something that has application to business, trade or industry. Due to the complexity of intellectual property laws, it is advisable to consult with legal counsel. A competent intellectual property law firm can ensure that adequate protection is in place and assist with litigation should there be an infringement of your rights. However, the better prepared you are and the more detailed the material supplied to your attorney, the more cost-efficient your consultation will be. Thomas Register to search for goods which may have a Trademark through use. Intellectual property can have substantial commercial value. Getting the right protection in place is essential to safeguard your rights!